This struck me as a curiosity.. I have always wondered why it is that almost all sailboats are all white? Of course it's not really all that uncommon to spot a painted blue, green, yellow, or whatever color hull, but the vast amount of sailboats (or any pleasure craft) tend to be primarily all white. Somebody told me it was because it hides things better; A scratch on a white boat is just a scratch, but a scratch on a blue boat is an eyesore, because it stands out.. I don't know, maybe. But personally I find a contrasting colored hull attractive. Tonight I notice there are two Grampian 26's on Ebay, which is a little surprising, since it seems a little rare for a G26 to show up on Ebay.. But what's even more odd is they're both blue! 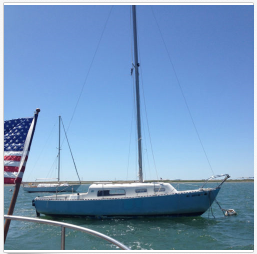 This is a 1973 26' Grampian Sailboat. Donor indicates that the overall interior & exterior condition is fair, with wear from age. Donor had to discard the main sail due to damage, but all other sails are included and in good condition. 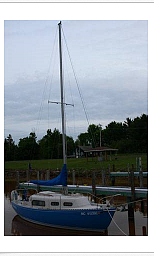 Boat has not been used in over a year; donor does not have the time to commit to sailing and wants to find a new owner. Please refer to the included photographs for the best idea of the boat's condition. The engine is an outboard Mercury 9.9 motor. Donor says that it does not start, but lacks the motor knowledge to repair or diagnose the issue. Trailer is NOT included in this listing. Please consider what arrangements would be necessary for moving the boat before bidding. Donor has current title to the boat and will transfer to the purchaser. 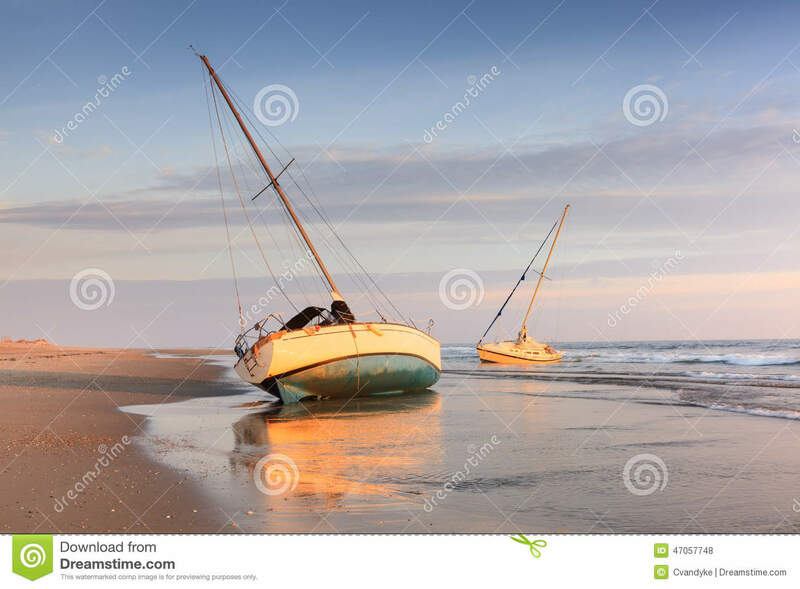 The donor has registered the boat, but the registration is currently expired. The boat is currently in the water at a marina, and donor says that it will need to be removed or stored out of the water in the upcoming months. Somebody ought to go grab themselves a bargain. A friend of mine (Dave) works on sailboats.. not a deck hand, but actually has people fly him down to their location to do constructive work and such on their boats. Today he joined me in taking the dingy out to my boat, so he could give it a look over and tell me what I needed to do to insure it was sound.. It seems to me he was very thorough in examining everywhere and everything. He spent a good thirty minutes at it, above and below deck. Anyway, his conclusion was that there is two areas he pointed out to me, with some delamination on the port side under the v-berth where the hull meets the inner fiberglass vberth structure which he said should be addressed as although it was ok for now, it could get worse over time (I asked him if it could have been caused by the boat knocking against the back fishing pier about a week or so ago, and he said no, that it was not due to anything recent (and that is not the side that was facing the pier when she was "parked" by it anyway). He also pointed out he bulkheads should be tabbed or glassed to the hull in the hanging locker and in the head, as well as the small bulkhead to the anchor locker is not attached at all and should be. He also advised it would be good if I were to spend some free time working on a few small areas on the deck and cockpit area where some minor crazing has occurred in spots. He said it was only cosmetic flaws, and I should just pick an area and use the methods described in the book I have (This Old Boat by Don Casey) to repair each area at my leisure, and next time pick another area to correct.. so that when times comes that I'm ready to paint everything will be ready. I asked if my rigging looked all to be ok, and he said it was fine. Bottom line, he said he was really expecting to have seen a lot more problems than what he did. He was aware I only paid $1000 for it. He said I did really good with the purchase, and got a hell of a buy! I wish I had brought my camera, - I meant to. ADDUM: I posted about my concerns at the Grampian Yahoo Groups forum about where the light shines through (as shown in the video above, and pics below), and was a little surprised by the replies..
"That's normal. I have yet to see a G-26 where you couldn't see the light through that area you refer to.... [the bulkhead] wasn't fastened along the sides so it allowed a bit of hull flex when pounding through 4 metre waves during a race." Fibre glass is translucent and gelcoat and paint can light through too. So diffused light is not a problem. 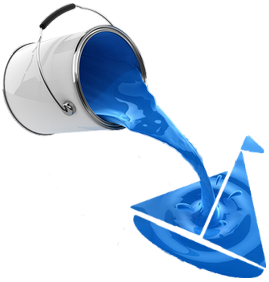 Spraying it from the outside with a hose will reveal any leaks you might want to fix. Your boat made it this far with the bulk head as it is so unless you plan to do some sailing a novice should never do like sail into a hurricane or cross the bay of Biscayne it might not need make the top of your list. Davidasailor26: I agree with the other response you got that the light through the hull is not nescessarily a cause for concern. 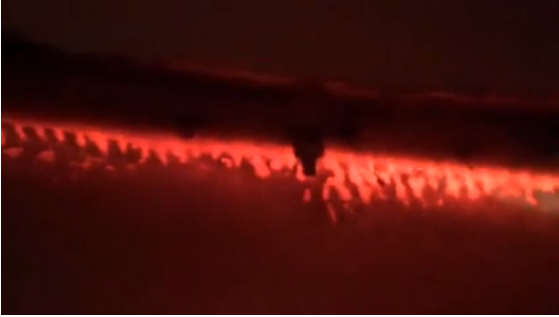 It's not uncommon for sections of un-cored fiberglass hull to let light shine through. rgranger: If it were my boat, I'd tab in the bulkhead and paint over the light shining through. kloudie1: Wouldn't worry about either one. Many boats have untabbed bulkheads.. almost all have a place where light will show through the translucent glass/plastic (we call fiberglass). The untabbed bulkhead was designed to be that way .. yes, it may stiffen the boat a bit were you to tab it in.. but not needed in normal use. sloopdreams: I have a grampian 26 and I see the light through the hull at the deck joint. It's not a structural concern. It's fairly common for boats of that era. With regard to the bulkheads, it is correct that they are not tabbed to the hull. They are 'floating' bulkheads. It's something like a press fit. Unless, the bulkheads are showing signs of rot, like at the chain plates, chances are the bulkheads are fine. It's good to get to know your boat by checking all that might be wrong with it and it's easy to spend hours worrying about it (I have), but in the end, it's more fun to just go sailing..
Well... I'm still quite ignorant about sailboats, and these guys are seasoned sailors - So I tend to think they must know what they are talking about. But to be honest, I'm still not entirely convinced. It just doesn't look right. She's been holding anchor. 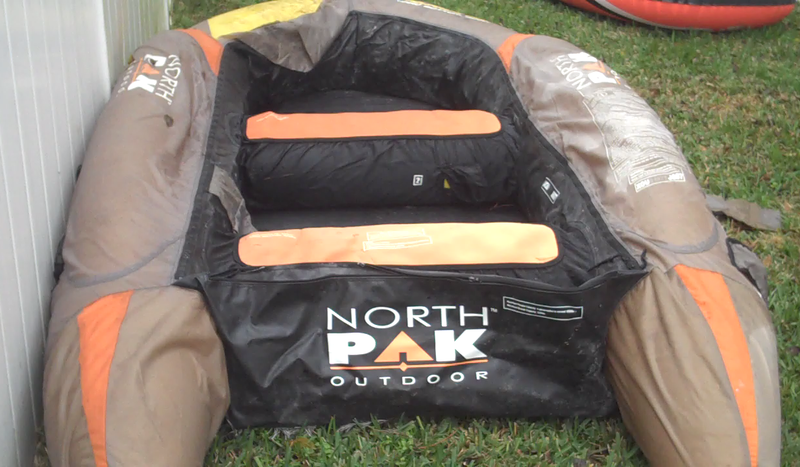 I've been traveling back and forth on a $12 inflatable raft, and needed something better, and dirt cheap. I thought about doing what this guy did, with my own raft.. and I considered building a "One Sheet Boat", which I still think is cool. 4 Man Raft Bladder only - Bladder for a 4 man raft. Bladder holds air, cloth boat is dry-rotted. Boat is 9.5 feet in length. 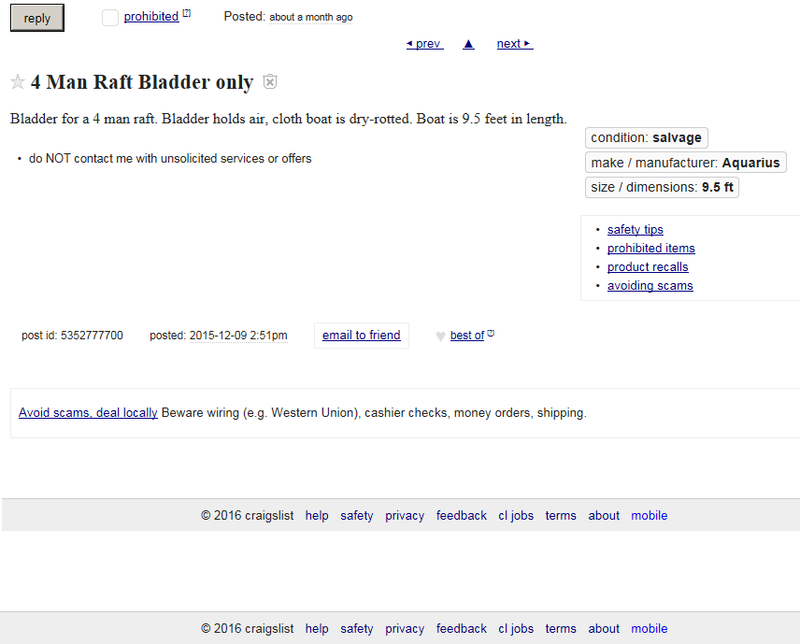 I noticed it had been posted for about a month, so I emailed the seller: "Do you still have the raft bladder?" He replied: "Yes I do." "Where do I pick it up?" "George Blv. and 204, there's a Food Lion there. Does that work for you?" Here's a pic I found on the internet. North Pak Aquarius hard bottom boat. Picked it up the day after next on a trip to Home Depot with Bobby for a small job we were working on. We detoured about 15 miles to meet the guy with the raft at the parking lot. We had a brief greeting exchange as he was opening the back of his SUV and handed me the boat folded neatly and slightly wet. I said "This is a lot nicer looking than what I was expecting." ..
Then took out two large black durable foam-like panels with a hard smooth facing covering it, the two pieces obviously made to link together - he said they go on the floor to make it stiff. This is the "bladder" I received. Slight deflating after a day and a half. But not bad for a free boat. 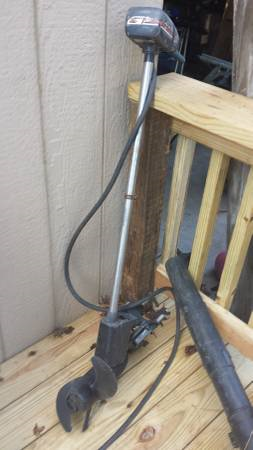 Then he handed an algae stain board and told me it would slide in the transom for a trolling motor on it (I had recently purchased a Craiglist $20 trolling motor). Lastly, he handed me the owners manual along with some other papers.. We said goodbye, and with the raff and accessories in the truck, Bobby and I returned to the beach. meets the floor needs repair. 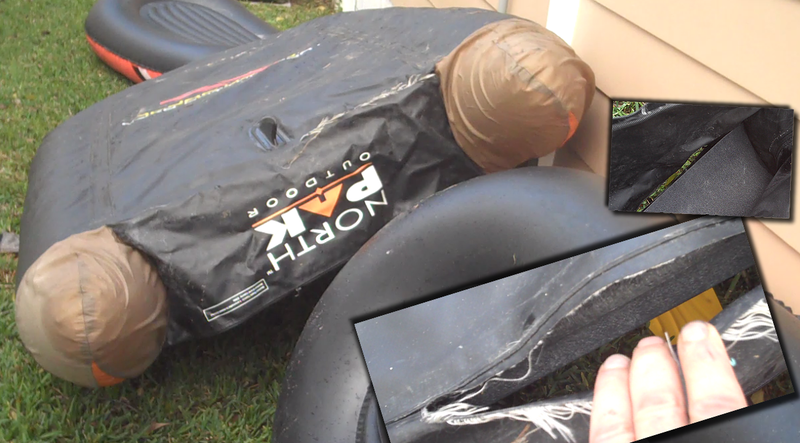 It was after dark before I unrolled the raft and began foot-pumping it.. It was a lot nicer than what I ever expected it would be. The cloth "wrap" at the bow was tore, but other than that, it looked pretty nice. Then I noticed the seam at the bottom of the transom where it meets the floor was tore about 12 inches. 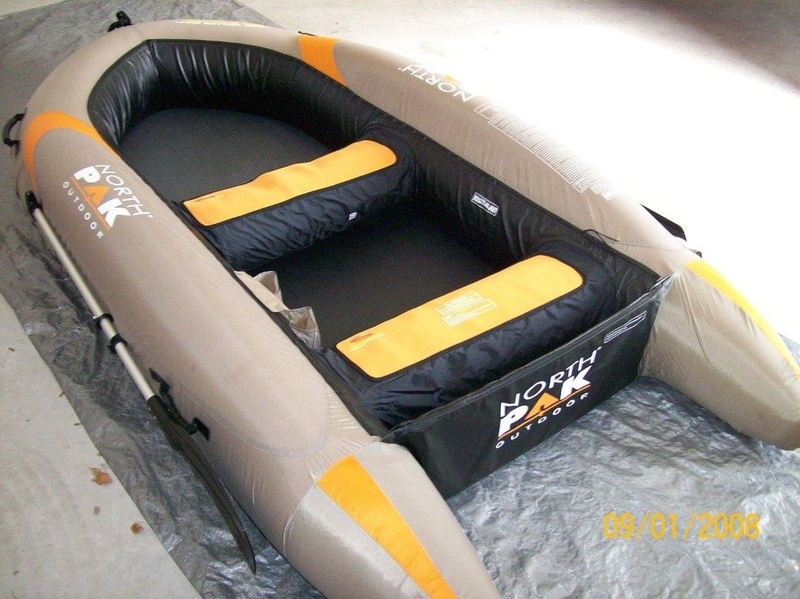 It didn't have any effect on the floatation, but it would allow water into the boat. Fortunately, it appeared that it shouldn't be difficult to repair. The paperwork showed that it is a Aquarius 896 hard bottom pontoon. He had bought it from Sams Club in 2007, it didn't say the price. Another document had the HIN number, along with other info, and the 5 or 6 page owners manual provided some basic care instructions and warranty information. I'm thinking about just duct-taping it to get it in the water quick, also thought about giving pvc pipe glue a try since I have it on hand, but am trying to resist the impulse, and do some searching around for solutions on the net first.. 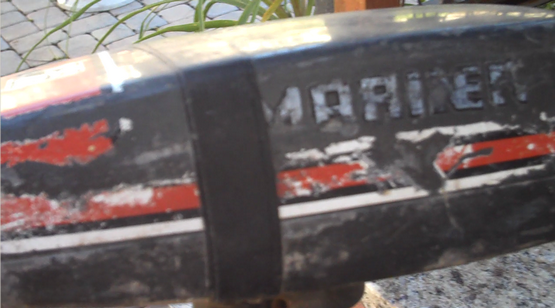 This is the $20 Mariner electric troller motor I want to put on it. I hooked it to a battery and it does seem to work, but I have no clue on the model or thrust. I just received this from Practical Sailor Magazine. If any G26 owners would be interested in providing photos or information, please send you information in as directed below. Good to see the G26 is still getting outside attention. 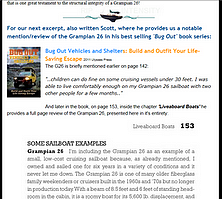 Practical Sailor magazine (www.practical-sailor.com) is working to update its archived review of the Grampian 26, and I was wondering if you could please forward this photo request to the Grampian owners association membership, or post it on your forum/website? Any help is greatly appreciated. - construction details (hauled out photo showing keel, etc., hull-deck joint - anchor locker often offers good view, through-hulls). If you don’t have any of these, but know some other Grampian 26 owners who might, I’d greatly appreciate their email addresses so we can see if they would like to submit any photos. Your help is greatly appreciated. For any photos submitted for publication, we ask that the owners include the boat type, name, homeport, and a photo credit for the photographer. The photos need to be high resolution, that’s 300 dpi or 1 MB file size, or larger. We’ll gladly send PDFs and hard copies of the published review to anyone whose photo(s) run in the magazine. The updated review is tentatively slated for the April 2016 issue, so we would need photos and owner comments by Feb. 5. Also, if you/other owners have any pertinent comments that would help us update the review, feel free to send them along (and ask others to do the same). Some key points we’re interested in getting more owner feedback on include: the boat’s performance (under sail and power), engine access, construction quality, deck layout, interior layout, systems functions, pros/cons, and any pet peeves or praises particular to the boat. We appreciate your taking the time to help us update the review, and we look forward to hearing from you soon. 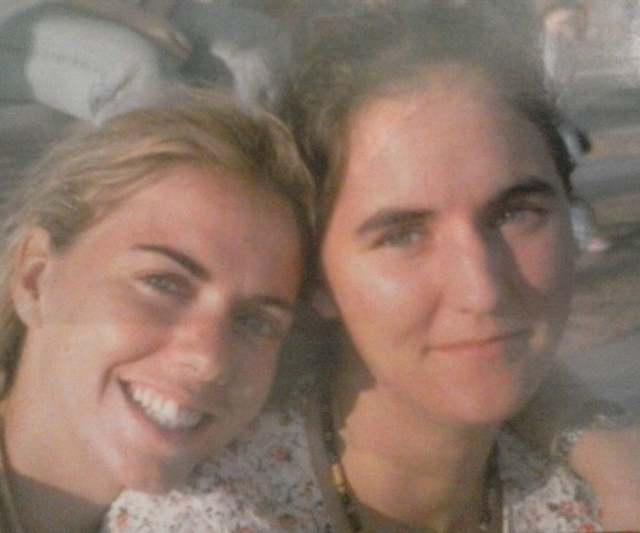 Jenny Rose Harmon - SAVANNAH - Jenny Rose, 38, of Savannah, Georgia, went to be with our Lord on Saturday afternoon, October 3, 2015, at Memorial University Medical Center. Jenny Rose was born in Savannah, Georgia on October 23, 1976. She graduated from Joel & Company as a Master Cosmetologist and has worked in her field for several years. She also was an IT specialist, holding two degrees, and was in the process of completing her third degree. She was a member of Ferguson Avenue Baptist Church. Jenny Rose's greatest accomplishment was her four children, and she was loved by everyone she knew. She is survived by her children: Jacquelynn Rose Harmon, Johnathan Cole Harmon, Heidi Bayne Harmon, and Cayman Ryle Harmon, all of Savannah; her father, John Anthony Harmon, and his wife, Leah, of Savannah; her mother, Sandra Edenfield White, and her husband, Larry, of Savannah; seven siblings, John Anthony Harmon Jr., Michelle Denise Leverett, and her husband, Chris, Letha Courtney Harmon, Jack Ashley Harmon, Jason Anthony Harmon, Dale Travis Morris, Joshua David Melton, and Christina Leanne Harmon, all of Savannah; her paternal grandmothers, Patsy Jackson and Debbie Mixon, of Savannah; her maternal grandmother, Maxine Pearson, of Savannah; and several nieces, nephews and cousins. The family will receive friends from 6 until 8 o'clock Wednesday evening at Gamble Funeral Service - 410 Stephenson Avenue. The funeral service will be 11 o'clock on Thursday morning at Ferguson Avenue Baptist Church, conducted by The Reverend Robert H. Dimmitt. Interment will be in the Greenwich section of Bonaventure Cemetery. 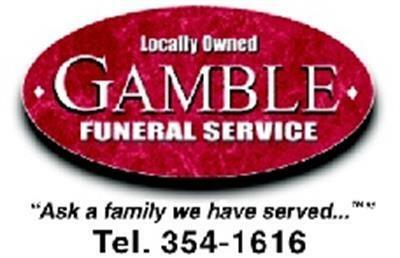 **SALT LIFE** Please share your thoughts about Jenny and her life at www.gamblefuneralservice.com. A few nights ago I found Jenny Rose had broke anchor and was parallel up against the public fishing pier of the back river, It was about 9pm, and I don't usually check that late, but it's only about 3 blocks away and I took a stroll down there.. she was already leaning slightly, so I knew the keel was hitting.. I was a nervous wreck, and after a while of running around with my head chopped off, I called George, who had helped me transport it when I first got her, - he came down and said there was nothing we could do and would meet me early the in morning.. I was a nervous wreck, I climb aboard from the raft and situated the gas tank so it wouldn't spill, and cut off the light, then rowed to shore, paced the pier for a few minutes looking down at her. My fingers and nose were frozen, so I went home. I returned about 5:30 am, and George arrived about 15 minutes later. It was a dark, cold, and windy night.. Jenny Rose was laying on her side, with her bow over the shoreline, water danced around her. 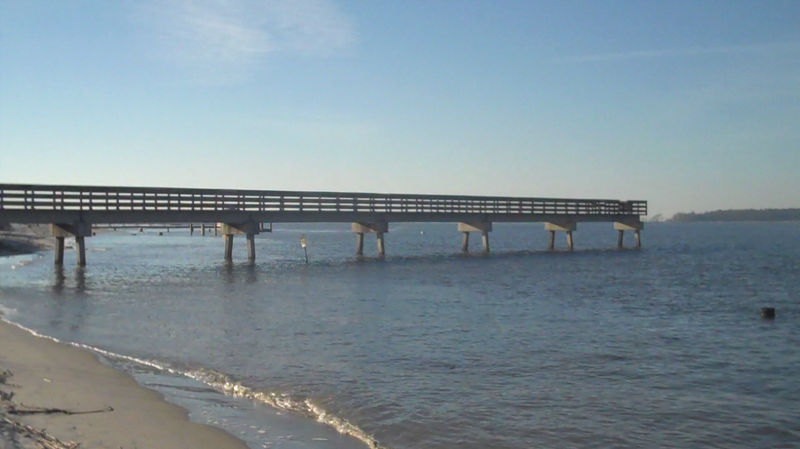 The long wide pier cast her hull in its shadow from what little light shone from shore. No, I didn't get a good look at the hull why she was down.. There was still a foot of water surround most of her, it was icy cold with a hard wind, it was dark, and at the time it seemed pointless to row out to inspect in such nasty weather. Now I wish I had, it's not often you get such opportunity. Anyway, Returned about 15-20 minutes later to find her upright and dancing on her keel. We rowed in on my two cheap Walmart rafts to board her. George motored her back as I readied to pull anchor, and once retrieved, discovered it bound shut with fishing line, remains of a blue shirt, and broken sections of fishing rod. I cut it all loose and freed it to open, then dropped it once we reached mid river (I normally dock closer to the far shore, but for the sake of my friend who was helping me, we anchored a shorter distance to shore), and rowed the two toy rafts back. The best thing that came out of the whole ordeal is that now I've seen how she lays down and rises back up; I now feel comfortable to intentionally beach her for a hull cleaning (if I go that route) once it gets warmer. 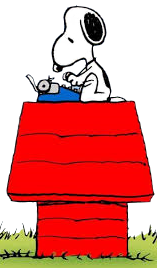 I'll get back to my story about getting my first sailboat which I began a few post back in future post, (there is more to the story), but with blogger automatically putting topics is reverse chronicled order, it kind of screws up the flow anyway. - I'll add links directly to the next part as I add them. Why is the G26 a ugly boat? In the midst of the discussions at sailnet.com alone, you can find a multitude of instances expressing opinions on how beautiful the Grampian 26 is..
Well.. personally I don't find them to be ugly at all. I almost forgot, I said I would explain my concern about something posted on the page 'In The News 2'..
- - Anyway, I had contacted Scott seeking clarification on what he meant by a particular statement in his book, on page 153. "..and while not as heavily built as some boats of that era, it is sturdy enough that at least one has crossed the Atlantic ocean..."
"..It surprised me, and wondered what influenced the comment. It appears the general consensus (on the internet) indicates it to have been a very heavily laid up boat. Now I'm not really experienced enough to know the difference between a well built boat or a poorly built one, and I realize it was a budget priced cruiser at the time, but still; it's the first time I've seen it said that the G26 wasn't built as well as the others in it's class during the time..."
"... I recently owned a Cape Dory 27, for example, and it was built like a ﻿﻿﻿﻿tank compared to the G26. The hull thickness is one measure of this. On the Cape Dory it’s approximately 1-inch thick below the waterline and still over a half inch all the way up the sheer. The G26 hull is not laid up this heavily and it can be flexed when out of the water on the jack stands. This is not to say that it is not strong, just not as strong as some of these other boats. On the other hand, it is stronger and more heavily built than some lesser boats too, like for example some of the Catalinas. The G26 was never intended to be a bluewater voyager, but some of these others have circumnavigated. Most of the heavier boats have a full or partially-full keel with an attached rudder, where the G26 has a separate keel and unsupported spade rudder. A good book on the subject is John Vigor’s The Seaworthy Offshore Sailboat. The G26 has nevertheless made some offshore passages and could be improved using the tips in John’s book to be even more seaworthy. it all depends on what you want to do with it. John’s other book: Twenty Small Sailboats to Take you Anywhere is also a great resource to compare boats in this class because he only covers boats from 20 to 32 feet in length and mostly older, out of production models that are now affordable. The G26 is not in the book, but that’s simply because he had so many to choose from and couldn’t include them all. Don’t worry about it too much. The G26 is a good boat. Unless you are planning to circumnavigate or sail around Cape Horn, it will probably get you where you want to go and back again. I look at it this way: A long time ago I had a 1976 Camaro that I was really pleased with, and the fact that a 1976 Mercedes is better built than my Camaro, had no bearing whatsoever in the fact that the Camaro was quality built. I wasn't concerned that my Camaro wasn't a Mercedes. So in the same way; my Grampian may not be a Cape Dory, and, may not be actually be classified as blue water cruiser, but they've crossed the Atlantic in spite of any classification system, and that's good enough for me! The G26 is still a good solid boat in a class of it's own. Not my Cobia, but real close. Years later, here in Georgia, owned a 1960's 16 ft Cobia. It had a steering wheel, and an ancient 35hp Evinrude motor on it; had a lot of good times with that little boat, and it was surprisingly dependable. Somewhere down the line I bought an old beat up cabin cruiser for $250 from some local barfly, don't think I ever knew what make. Never got it registered either. It was about 20 foot, it was our "party boat", and a real junker. Kept it about a year or two, and it had a tendency of getting us stranded in the most inconvenient situations,.. reluctantly had to sleep in it for the night on two different occasions. it was very temperamental. That was about 25 or so years ago, It was the last boat I had. I've been dreaming of getting a sailboat for at least ten years now. Every year I would tell myself "I'm going to get one this summer"; But year after year I'd squander my cash flow away on whatever current whim of a hobby or interest was grabbing me.. Well, either that, or I'd simply drink it away. But this year was a little different.. I had been searching sailboats on ebay, and craiglist, and other boat-for-sale resources for months. Summer was ending, and along with it, my income was to dip to almost zero for the winter.. I only had about $2500 saved, and that's supposed to get me by till next spring, which is next to unfeasible. I knew I couldn't afford no boat.. Nevertheless, I was determined to get one anyway. To conform with my price range, it would likely be a fixer-upper to say the least, and though I knew I was being foolhardy, it still was a realistic goal. 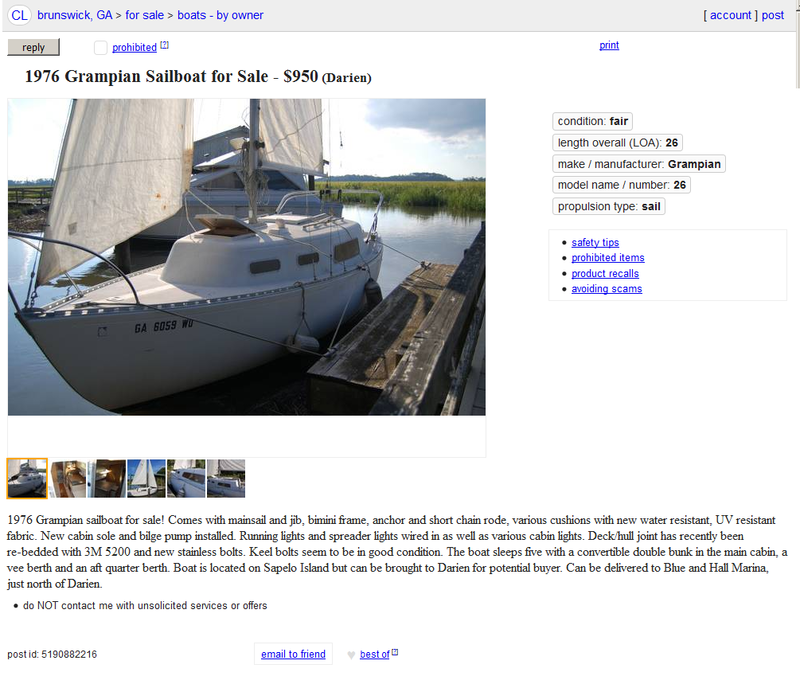 Cheap, or even free sailboats turn up all the time. But finding one close by is another story altogether. Exactly like my old camper! But anyway, that's what I wanted; an RV on the water, self contained and comfortable... Liveable; should I need it. - There's have been times I did. --But with that being said; allow me to emphasize; It had to be a sailboat. I want to sail. Ultimately, I didn't get what I was aiming for, but did get what I wanted. I got a big sailboat in a small package. 1976 Grampian sailboat for sale! Comes with mainsail and jib, bimini frame, anchor and short chain rode, various cushions with new water resistant, UV resistant fabric. New cabin sole and bilge pump installed. Running lights and spreader lights wired in as well as various cabin lights. Deck/hull joint has recently been re-bedded with 3M 5200 and new stainless bolts. 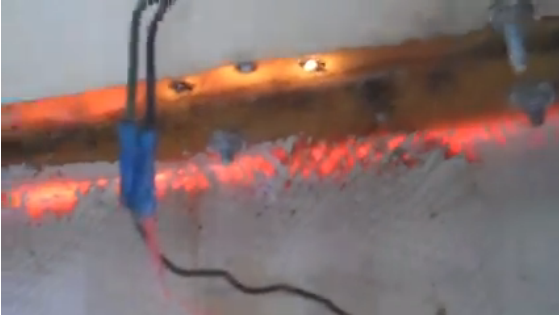 Keel bolts seem to be in good condition. The boat sleeps five with a convertible double bunk in the main cabin, a vee berth and an aft quarter berth. 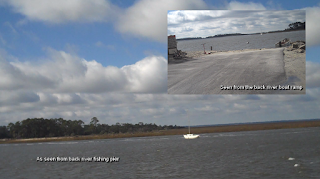 Boat is located on Sapelo Island but can be brought to Darien for potential buyer. Can be delivered to Blue and Hall Marina, just north of Darien. 26 foot didn't seem to me to cut it, though in the pictures it didn't look so small.. and slept 5 people? In a 26?.. This puzzled me, cause I had recently looked at a 24 foot sailboat that was right here on this island (can't recall what it was now, a Pierson maybe?) It looked to be a great deal. It was clean, had nice sails, a 9.9 motor, and a glossy aqua color- and he only wanted $1500!, -But it had no room! It was tiny inside and I had to crouch over, and there was nothing to the cabin. I liked the look of it, but it could not possibly meet my desires, so I passed. 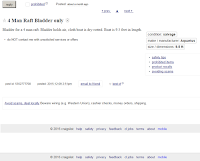 And now here's this one on Craigslist that's only two foot bigger? I don't think so.. a misprint maybe?. But then I googled it, and looked at a hundred pictures of other Grampian 26s.. and read.. and researched some more over the next two days..
Then I emailed the seller..